I have a slight obsession with creams and moisturizers - I am pretty content with anything at night, as long as it doesn't clog my pores, but I'm a bit more picky during the daytime. I have oily skin so I need a more lightweight moisturizer - but I also have dehydrated skin so I also need something hydrating. I previously have only found two moisturizers that fit the bill - one of which is the Freeset Donkey Milk Cream - but will this lotion add to my daytime moisturizer lineup? The Cosrx Oil-Free Ultra-Moistuzing Lotion with Birch Sap was originally designed to restore lost moisture in your routine after using aha and/or bha. 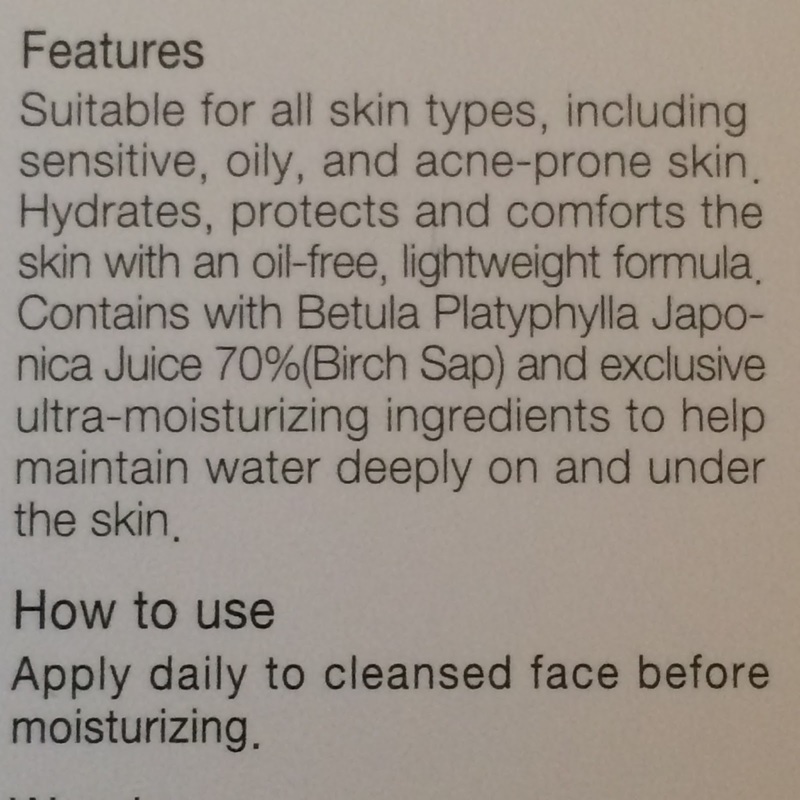 Claiming to deliver intense hydration to all skin types, and be repairing for damaged skin as well. 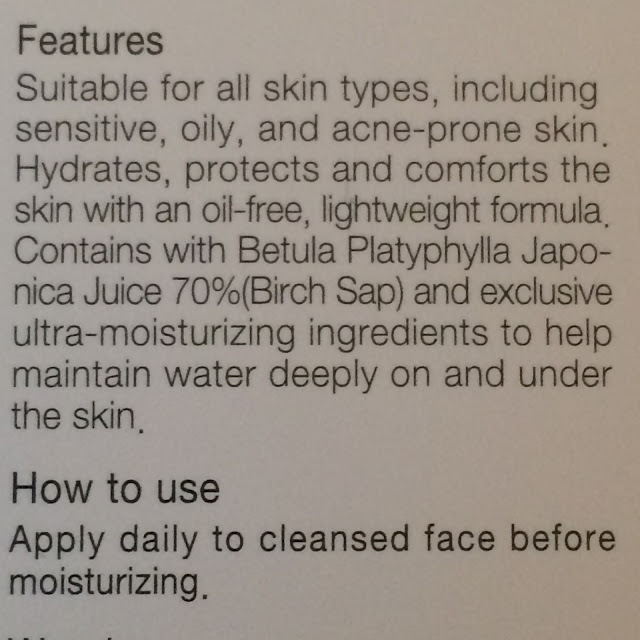 The highlight of this lotion is birch sap; an all-natural moisturizer that poses as a good anti-aging ingredient. 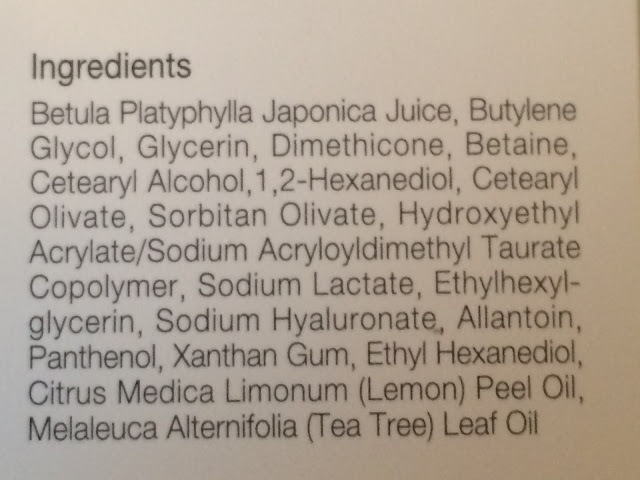 Ingredients: Betula Platyphylla Japonica Juice, Butylene Glycol, Glycerin, Dimethicone, Betaine, Cetearyl Alcohol,1,2-Hexanediol, Cetearyl Olivate, Sorbitan Olivate, Hydroxyethyl Acrylate/Sodium Acryloyldimethyl Taurate Copolymer, Sodium Lactate, Ethylhexylglycerin, Sodium Hyaluronate, Allantoin, Panthenol, Xanthan Gum, Ethyl Hexanediol, Citrus Medica Limonum (Lemon) Peel Oil, Melaleuca Alternifolia (Tea Tree) Leaf Oil. 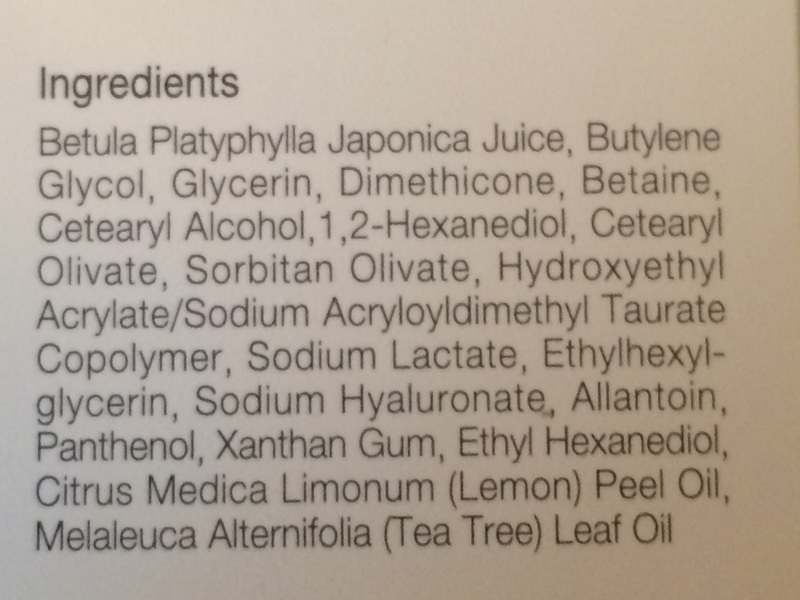 Do not use if you are sensitive to butylene glycol, dimethicone, cetearyl alcohol, or any of ingredients. 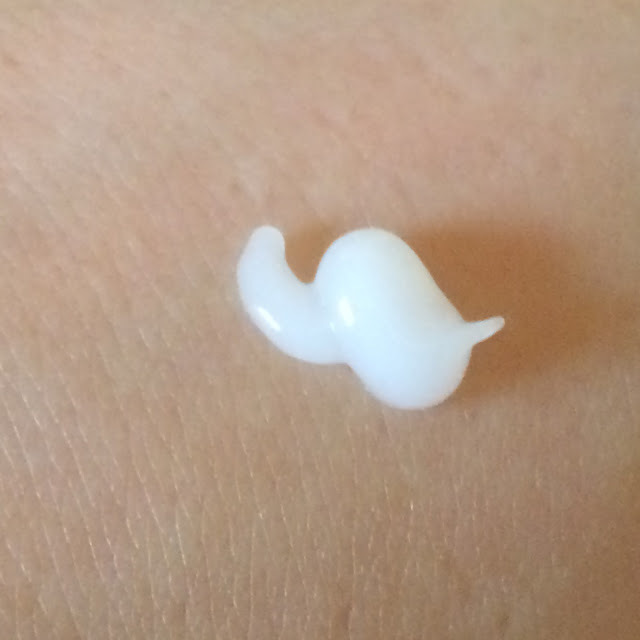 The lotion comes in a pump bottle - typical for Cosrx liquid products, and I must admit that I love how easy it is to dispense this lotion product as well. 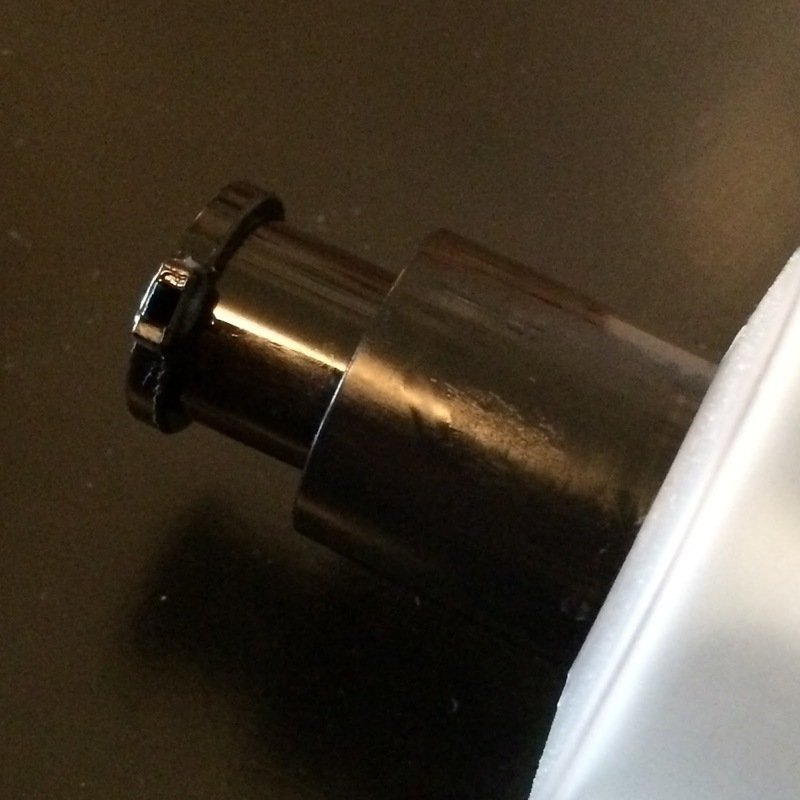 I hope in the future Cosrx considers putting more of their creams in pump bottles. Though I can see some product being lost if you can't find a tiny cosmetic spatula or skewer to scrape the last bits out when the bottle is almost empty. The lotion is thick and creamy, white in color, and has a citrus scent to it. It can feel a tab greasy at first, but it does absorb easily into the skin after a few seconds. 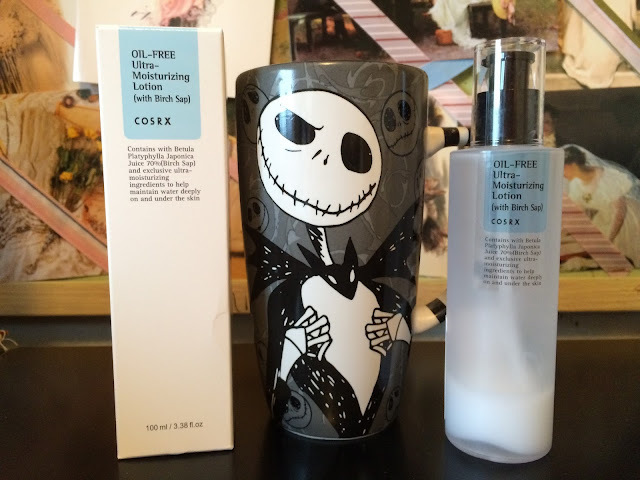 I've been using the Cosrx Oil-Free Ultra-Moisturizing Lotion for a month now and am very happy with how it performs. It applies nicely onto my skin and absorbs well. It gives a good amount of hydration no matter if I use it during the day or at night. During the day, it pairs well with sunscreen without causing any balling and doesn't leave my skin greasy. Over night I can wear it alone for light hydration with a sheet mask and have soft skin in the morning - or pair it with a sleeping pack for extra plumping hydration. Two pumps is enough to cover my entire face, so a little goes a long way! I purchased my lotion from Cupidrop, but you can also find it at WishTrend and Memebox USA*. Not at all! 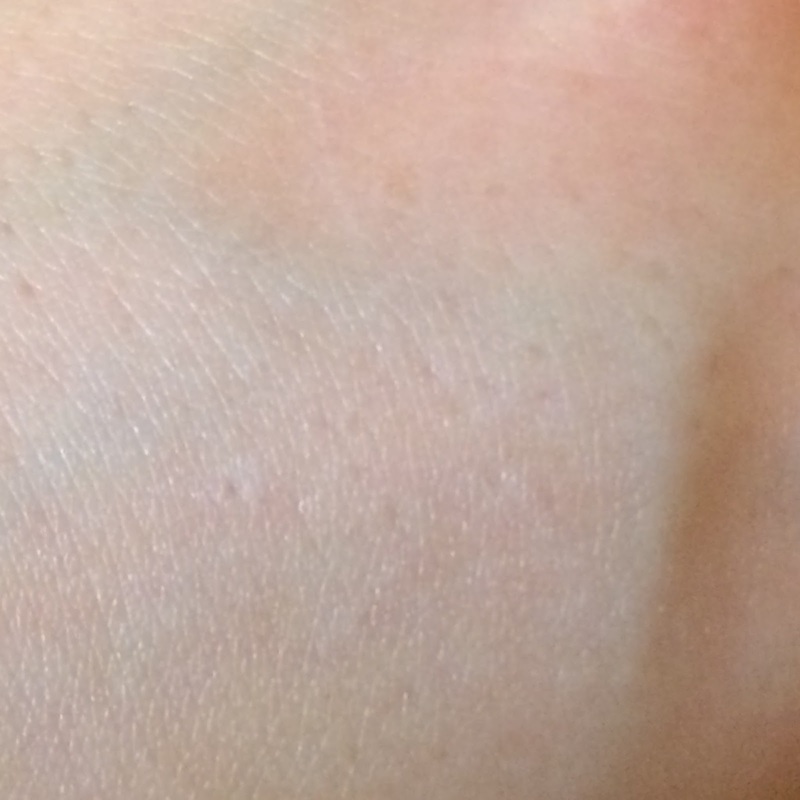 For me anyway - I have oily dehydrated skin, and have never found it to be sticky.